Starpower formally opened the doors to its latest concept showroom following a ribbon-cutting ceremony last week. Starpower Home Entertainment Systems, Dallas’ premium A/V, custom-install and home appliance chain, formally opened its newest concept store last week in the suburb of Southlake. The 15,000-square-foot showroom, first announced last summer, replaces the retailer’s previous Southlake location. The multimillion-dollar facility is triple the size of its predecessor and, like the North Dallas flagship store it emulates, features interactive tech displays and fully functional kitchens. From left, Mark Guilbert, president of the Southlake Texas Chamber of Commerce, presents a congratulatory proclamation to Starpower principals Daniel and David Pidgeon. The luxury vignettes underscore Starpower’s lifestyle approach to store design. While the lifestyle concept is “nothing new,” chairman Daniel Pidgeon conceded, he said it remains refreshing during a time of retail retrenchment. A ribbon-cutting ceremony and attendant launch party drew a who’s who of industry, sports clientele and government attendees last week, who came to celebrate with the four-store chain. 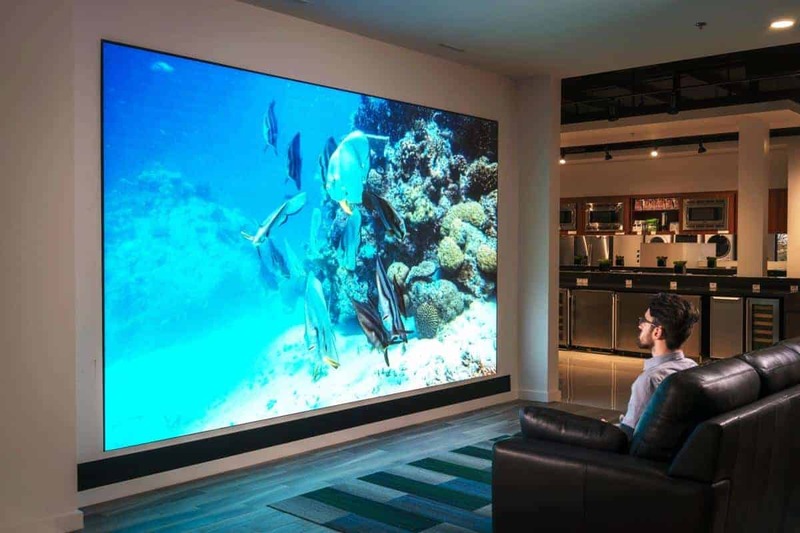 The 22-year-old family business, a two-time winner of TWICE’s Excellence In Retailing Award, also maintains showrooms in the Dallas/Fort Worth bedroom community of Uptown and in Scottsdale, Ariz.
Starpower’s new Southlake showroom boasts the only known video wall available at retail. The 180-inch, $180,000 display is from Quality Systems Technology and is comprised of 35 individual LED panels imported by Insane Impact with 2mm spacing. The wall is similar to displays used at sports venues, but is calibrated for home and small commercial use, Daniel Pidgeon told TWICE.